Are you ready to start and grow your business and do what you want whenever you want? Do you wonder how to live in abundance and flow without working harder or longer? Are you ready to let go of your day job and do what makes your heart sing? Do you crave a business that lights up your soul and makes you money with ease? Are you open to create Financial Faith so you can have more freedom in your business and life? You can start your business and create a big impact. It’s actually easier than you think. It may not seem that way now. I know exactly what you are going through. You know you want to do something meaningful in your life and you have no idea where to start or what to do. Something is missing and you feel the truth is so close you can taste it. It’s the secret that others seem to be in on. A secret holding you back from starting your online business. You are smart and talented and have a strong desire to do something meaningful. So why can’t you figure out how to start and grow your own online business? You’ve read the books. Tried the meditations. Gone through all of the exercises. Done some trainings and courses. And you still seem to get nowhere. You want to become an entrepreneur because you want to do things on your terms, in your own way, and earn more money so you can make a bigger impact in the world. A financially thriving business is within reach. I promise you. I know because I’ve been right where you are. I found my way to the other side - where freedom and ease are the norms. I went from working in a dead-end job to building a 6-figure business that I love and now having 6-figure program launches consistently. I went from worrying about how I was ever going to be free and able to travel to easily building my online business, and making more than enough money to follow my desires. I went from feeling stuck and stressed to relaxing around my business and my finances. I’m Sherina Mayani and I grew up in a culture and attitude that was very closed-minded. There was a strong belief that women had to get married, have children, and be a great housewife, and I knew growing up, in my heart, that I was meant for something else, something more. There was something within me that honestly didn’t connect with that cultural mindset and belief. I knew that I had something important to share, and I had to get to know my truest self in order to be my own woman. Let me be clear, I have nothing against being a housewife. I totally respect that. But I knew I wanted more. I wanted to create an impact and be an example of what was possible. I wanted to start my own online business and become financially independent. I wanted to be able to travel to wherever I wanted when I wanted. I wanted to be able to create my own schedule and spend time with my loved ones. I wanted something more for myself. I wanted to create change in the world. And I wanted to make a difference. But I knew to do all of that, I needed to be financially free and independent. I needed to find a way to start my own online business. Growing up, I witnessed how so many women were being forced to give up on their dreams and their desires because they had to follow a certain cultural and societal ‘norm’. It didn’t make sense to me. In fact, it terrified me because I didn’t want to one day wake up and realize that I, too, had given up on my own dreams. I recognized in order to do what I wanted to do, I had to be free. And that meant not working 24/7. I had to be emotionally and financially independent. Little did I know, on my journey to be financially independent and starting my own online business, I would discover how super codependent I really was. I noticed how money and emotions were very intertwined for women and that we take our finances and freedom much more personally than men do. On my journey of starting my online business and following my butterflies (what I love to call my intuition), I was upleveling my relationship with money and creating an impact in the world. It was all tied together. There was a day in which I came back home crying from my day job. I had asked my boss if I could take 2 days off to travel and he didn’t approve and didn’t give me permission. I felt horrible at that moment, I felt stuck and I felt constricted. While crying I realized I had two choices. To stay the course and live someone else’s life or to start my own online business and create the impact and freedom I deeply craved. So I chose the second. I decided to start my own online business. It wasn’t easy. 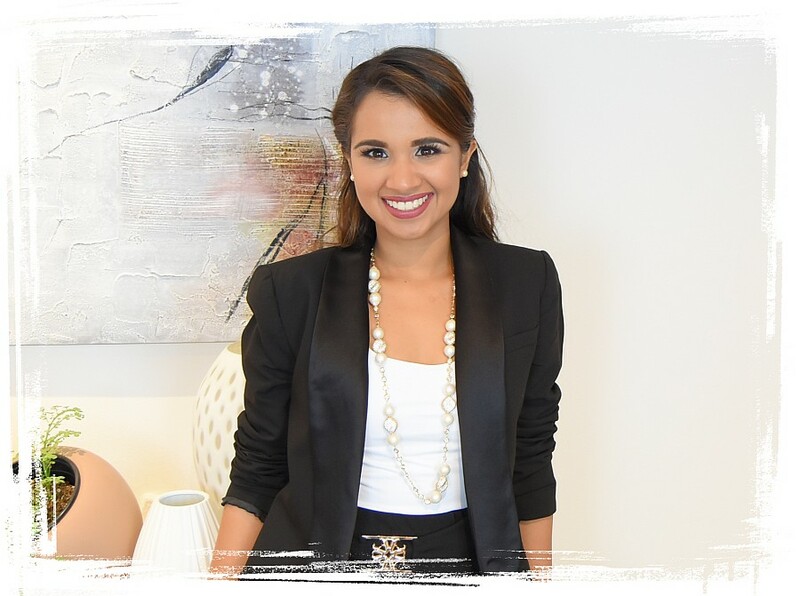 What I discovered shaped how I related to money, and also exposed the challenge many women face on their financial independence journey and in building their online business. I had no idea HOW to start my business or how to grow it. I felt confused, stuck and overwhelmed with all the information out there. There were a lot of emotions coming up too for me, specially fears that I knew I had to heal and clear. I noticed that that how women build and grow a business, or even scale their offerings, is a very different process than it is for men. As women, we have to heal and clear all of those internal blocks. Blocks that were embedded at a young age and strengthened while growing up. Blocks that create negative energy in ourselves. And especially the blocks related to money and business. This is the first step because without this the strategy and plan doesn’t really work. Problem is, we don’t even realize we have these blocks. And this is what’s holding us back from creating the freedom we truly want. This keeps us stuck at our current income limit and prevents us from breaking through our financial ceiling. I found that there is a simple way for us to grow a financially thriving business that will not drain or overwork us. It starts with working out internal blocks, getting clear on who our ideal client is, building a community and list, creating a program and package they desire and putting systems in place to market this. I also learned that when you set up your business in alignment with your purpose, there is no need for overwhelm. And even if you do choose to work evenings and weekend, you are in flow and loving each and every moment of it! When I decided to build my Online Coaching Business in 2014, I quickly realized that I had to work on my money relationship. In order to really build a financially thriving business, a business that was going to give me the freedom to leave my job, travel the world, create my ideal schedule, and do what I wanted, I had to up-level my money mindset. And why it had such a negative hold over everything I believed and every action I took. I did a lot of emotional and subconscious work around money. I started looking at my money and creating a good relationship with it. I got smart when it came to investing and avoided going into crazy debt while building my dream freedom business. By doing these simple steps, I was able to grow my business to a level that I never thought was possible. In just my third month in business, I had made my first $5k, and in my sixth month, I had brought in my first $12k. And now, in my fourth year of business, I am already expecting to break the 7 figure mark. I remember seeing my numbers and not even believing it. I knew the reason I reached these goals was because I did the money work while following a simple yet powerful strategy to build and grow my business (not after I had reached a certain level of “success”). The best part is, I feel super passionate and aligned. Not only am I designing a business that generates income and freedom, I am also building something that is truly in tune with my soul’s purpose. There is not a day that goes by that I am not grateful for the work I get to do and the women I am honored to serve. Everyday I wake up thinking how blessed I am to be doing this work and getting paid well to do what I love. And that is what I want for you. Because if I can do it, so can you. Imagine waking up and feeling in bliss with what you are creating. Imagine looking at your calendar and being excited about everything on the schedule. Imagine checking your bank account and feeling proud of the numbers you see. Imagine spending all the time of the world with your loved ones. Imagine having that online business that gives you all the freedom of the world. That’s what financial, time and location independence looks like. That’s what Money Flow Mastery looks like. I want this level of ease, abundance, and success for you. That’s why I am honored to invite you to join me in the Money Flow Mastery group coaching program. Money Flow Mastery is all helping and supporting you in starting and building your online business that gives you MONEY FLOW. It is about helping you create such a powerful strong mindset with money that you create the financial freedom and independence you want. I have seen with my own private clients how doing this work has helped them start their business and create 5 figure month. They experienced quantum leaps in short periods of time and even surprised themselves with what they were able to accomplish. I have seen people start from zero and have $5k months! And then on to $10k months! Consistently. And it’s because they are doing the deep inner exploration, taking steps towards building their community, and putting in the time to set up the systems. Now, it is your turn. It is your time. If you truly desire an online business that is in alignment with your purpose AND gives you steady money flow, then you are in the right place. I know it works. It worked for me. It’s worked for my clients. And I know it will work for you. Are you ready to start your online business and create TRUE MONEY FLOW so you can enjoy financial freedom and create a bigger impact? A business that allows you to be in EASE and JOY? A business that gives you the resources to live the life of your wildest dreams? A business that feeds your soul and your bank account, while making a difference in the world? Yes, Sherina. I am ready!!! Travel and live all over the world (more than 6 countries and 10 cities)! You can do this, too. It is possible. Money Flow Mastery is a 12-month group coaching program where you will learn how to start and grow your online business while mastering money flow, understand the energy of money, understand your target market, build a community that adores you, learn to sell and market your services and/or programs online, set up online systems and structures, clear your deepest money blocks, raise your money vibration, learn to invest and manage money, and create business structures and systems that will support you at every level. Have started an online business that creates consistent monthly money flow ($2k,$5k,$10k+ months) in your business. Run a thriving business with ideal clients who LOVE working with you and is in alignment with who you truly are and what you want to do in the world. Know how to build a strong community and email list of fans that are eager to work with you and ready to invest in themselves. Have the structures and resources in place so you have consistent money coming in every month and you never have to wonder if you have enough. Raise your money vibration so you become a Money Magnet for yourself, your business, and your clients. Have a unique set of tools at your fingertips to be able to clear your money story when it pops up (and it will), which allows you to grow without boundaries. Have an amazing relationship with money and be an example others will want to follow. Be able to make money when you need it (without working harder or discounting your worth). Money works for you and not the other way around. Confidence in knowing you can handle any money situation with ease and grace. And much more! You are only limited by the amount of work you are willing to do. I have seen how clients who have gone through this program have started a business from nothing and become super financially strong. It is one of the most powerful and empowering things you can do for yourself and your business. But don’t just take my word for it. “I started this program in June 2016 and I never thought I’d be able to get Support. I’ve had many coaches and truthfully most of them would never communicate directly with me or even understand me. At the time, I was still discovering myself and didn’t even have a business in mind. “Wow! Money Flow Mastery was literally a Godsend to me! Sherina is such a powerful & generous coach! Seriously, before joining I had NO idea how I would make the monthly payments but knew I needed to join & wasn’t open to waiting any longer! My desire. 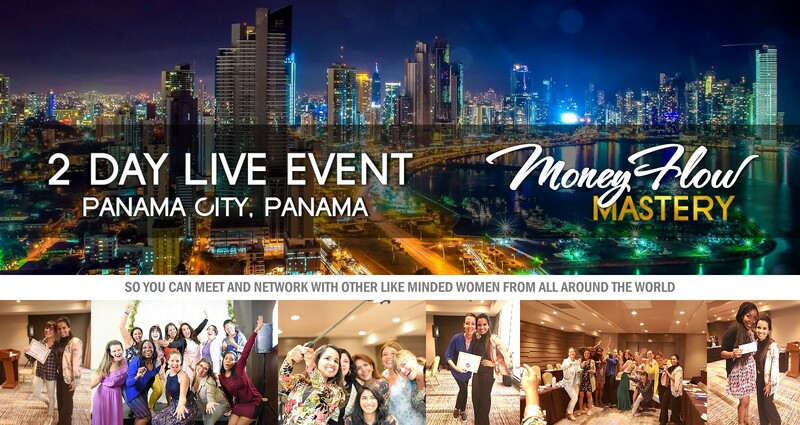 “Because of MFM, I have enrolled 8 beautiful and amazing women into my group coaching program, and I still have 2 weeks before it starts…..5 women enrolled before I even had a sales page, and all of them have joined without a single discovery call. 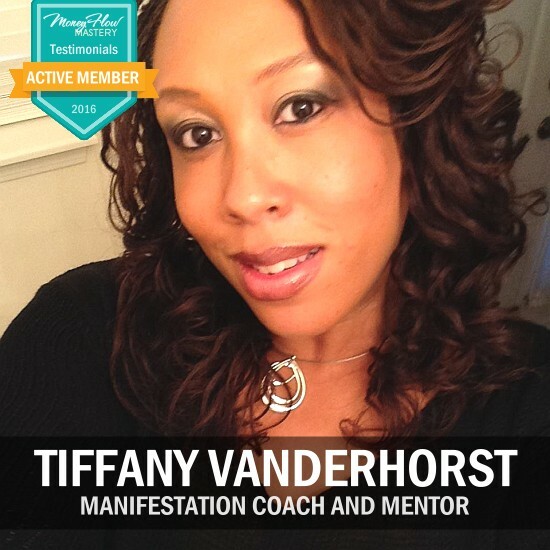 “Money Flow Mastery has been such a blessing! In just the second month, I’ve brought in $2,500 more in income! If you would have asked me 3 weeks ago if I thought this was possible for me, especially this early into the program, I would have said no. 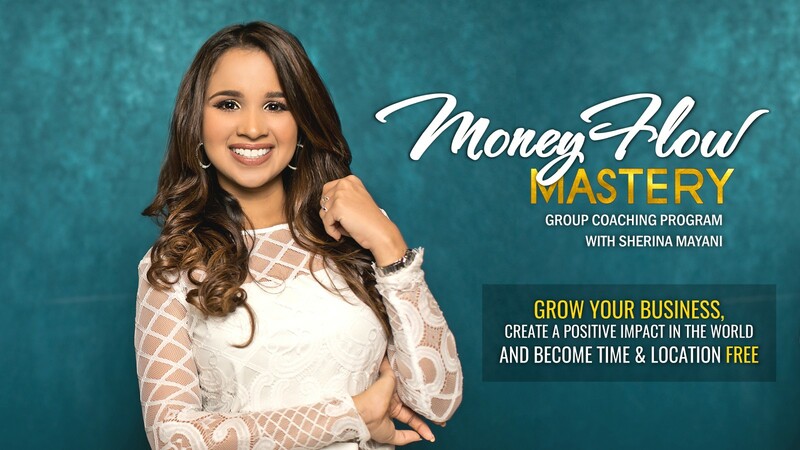 “After taking the Money Flower Mastery with Sherina for a year, I continued to apply the skills I learned from the modules and live group meetings online. For the first time, I hit my monthly income for two months, which I have been trying for so long! One of the months, I even took a 12 day family vacation!! I have grown my web design business to two developers and often collaborate with a marketing expert on client projects. In terms of numbers, when I started Money Flow Mastery, I had a monthly average of $1340 for the year of 2016. There’s only 4 more months left in 2017, and my monthly average has increased to $4690! 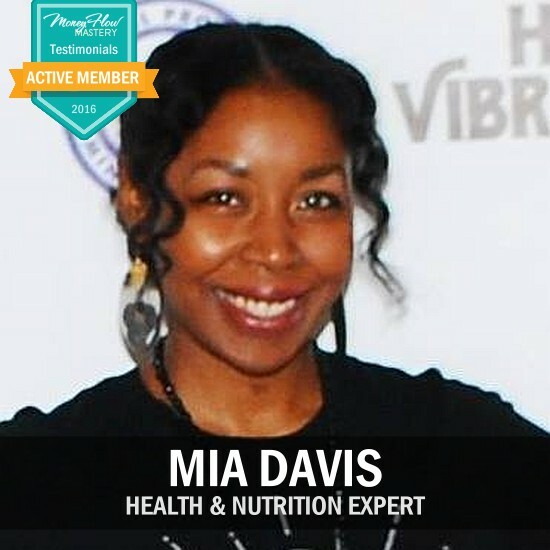 In this intimate group coaching program, we are going deep with your money stuff, clearing out what is not serving you, and then moving into high-energy vibration to help you start and grow a thriving online business that gives you the financial freedom and unshakable confidence you need to make a bigger impact in the world! Money Flow becomes your NEW NORMAL and EASE is the only way you know to grow. You will have a clear understanding of what money is and how it works by really looking at your underlying fears around money and where they come from. You will dive deep into your mindset because honestly without this the strategy I will teach you won’t work. We got to prepare the ground and your mind for the freedom that is to come! Because when you know and understand money, you begin to treat your business differently. Your money triggers give way to financial faith and calm confidence. This helps you feel more empowered with money, have a higher vibrational energy around money, and understand how to use money to create a thriving business you love. And when you are clear around money, you attract ideal clients who are willing to pay what you are worth and create financial freedom and independence. You will finally gain the clarity you need to call in your dreamy clients and connect with them in a way that feels real and in alignment with your heart’s desires. You will know exactly who you are working with and how to target them in a way that is in service to them and to your business. This is the number one stumbling block I see in my clients – not being clear enough on who they want to serve. Once you master this one area, your business is set on a fast path to success and you will begin to experience rapid income growth – with ease. How to find your own blocks hiding away in the deepest parts of your ego. Simple tools and techniques for clearing your money blocks that you can use when they pop up again (or when new ones arise). You will learn my powerful, yet simple, clearing techniques to address and remove any mental trauma you have around money. You will finally release your money story (or stories) and create a new empowering way to think about money and your business. I will also share my Block Clearing Toolkit that you can use anytime you feel any fear or anxiety around money or become aware of your upper limiting blocks so you can remove them immediately. This module will completely transform how you approach your sales process. Conversations that used to feel awkward and icky now feel light and empowering, and you will begin to convert prospects into paying clients easily and confidently. Having your own engaged community is vital to the success of any coaching business. In fact, it is so important that I recommend you start your community before you even begin growing your business. In this module, you will learn how to create community and connect with them on a daily basis without feeling overbearing or slimy. I’ll share my unique approach to authentically communicating with your tribe in a way that is high vibration and in complete service. You’ll discover which systems and structures to have in place so it doesn’t feel overwhelming to manage. I’ll even reveal how I built my Facebook Group to more than 4,000 and my email list to over 10,000 in just a few months and leveraged that private community to bring in multiple 6-figures in income. How to make money be there for you, when you need it, every single time. How to create your Foundational Pillars – the core beliefs used to attract money in your business. You’ll learn the power of manifesting what you desire and how you can use that skill to build a thriving business. You’ll finally be able to experience money in a completely new way – as a tool and resource for serving the world instead of something that is hard to get and impossible to keep. Your relationship with money, and your business, grows stronger as you realize you are in control and there is plenty for everyone – all you have to do is ask. As you open into this space of creation and abundance, you will finally feel what it is like to be in flow. You’ll learn how to package your services in a way that people will actually buy; everything that goes into promoting, marketing, and selling your offerings. We will also get serious about protecting your work, yourself, and your clients by talking contracts, onboarding, welcome packets, and the energy behind treating your business like a business. In Module 3, you cleared your money blocks in order to stop sabotaging yourself and your business. Now, you will learn how to reprogram your money story into one of abundance and expansion. You’ll transform your relationship with money and how you bring money into your business. Most importantly, you’ll learn how to uplevel your money frequency so you begin to attract clients that are eager to pay you and team members who truly believe in your business. You’ll feel bigger, more powerful, and more confident. This is key for making the jump to consistent $5K and $10K months (or more). The difference between serving and selling and how to promote yourself in a way that is in complete alignment with your purpose. This is when your inner work takes action and your visibility will explode online. People will be blown away by what you are creating and will begin to flow directly to you. I’m unpacking my own strategy for getting in front of ideal clients and how I use my vibrational energy to create marketing flow. After utilizing these mindset and energy techniques, you’ll wake up to people wanting to work with, have clients come out of the woodworks to give you money, and build strategic partnerships that expand your reach with little effort. You’ll learn exactly what to do online and how to structure your marketing and content so that you are not overwhelmed or stressed out. If you have avoided looking at the numbers in your business until now, then this module will teach you how to properly set money goals and understand the financial metrics in your business. You’ll get clear on your real financial needs and set intentions that are in alignment with your truest desires. You’ll also learn how to manage your money and hopefully avoid the mistakes I made as I was building my 6-figure business. Sales. This one word strikes fear in so many entrepreneurs. But no more. You’ll master my #1 strategy to move people from prospect to client with complete integrity. I’ll even share my best tips on how to close the sale, how to negotiate with honor, how to price your packages in a way that is in service to both you and your clients, and how to talk about money in a sales conversation. This is one of the most powerful modules in the entire program. Once you become comfortable helping others get clear about what they need and how to energetically handle your sales conversations, you will never struggle to gain new clients again. But most importantly, I’ll address the energy of following up and how 60% of my clients come from my strategic follow-up sequence. This focused process leaves clients feeling loved and supported before we even start working together. This is where the magic begins. Now that you have learned how to attract your ideal clients and have a stable stream of money flowing to you, it is time to secure the future of your business – and yourself. I’ll teach you how to best manage money in your business and how to decide the best investments for where you are in your business (as well as where you want to go). Knowing that your money is working for you brings a sense of peace around money, which allows for a greater level of freedom and independence. Truth is, you can’t do this great work all alone. If you want to continue to grow your successful business, then you will need to seek out help. Not just in the form of hiring a team, but by putting solid systems and structures in place so you can avoid those growing pains that happen during rapid expansion. All too often, this step is avoided or pushed off until it is almost too late. Don’t let that happen to you. You’ve worked so hard to get where you are; you owe it to your business – and yourself – to get the support and love your business deserves. Ready to start a business that is in TRUE MONEY FLOW? You are a coach, consultant, mentor, or entrepreneur and are ready to go online and create more freedom for yourself. You are confused to the exact steps of how to start your online business. You are are looking for ways to leverage your time and uplevel your systems. You are committed to taking 100% responsibility for your actions, outcomes, attitude, and energy. You are open to asking for and receiving support, ready to participate fully in the group, and have a strong need to be of service in the world. You desire a clear strategy, a supportive community, and a business that gives you peace, freedom, and joy. You desire to have a better relationship with money and master your money story. You want to upgrade your money energy so you can experience the next level in your business and your life. You are ready to upgrade your money energy around your business so you can lead the way for your own growing community. You want a “think and it will come” program. You are not willing to look at your relationship with money. You are okay with your current relationship with money or don’t believe you have a money story. You are not able or willing to let go of the shame and guilt around money. You are looking to build a business that is not from your heart. You don’t believe in manifesting, laws of attraction, abundance, or energy. You are not open to asking for or receiving help. You are not willing to take 100% responsibility for how you show up. You are looking for a “get rich quick” scheme. This is a long-term process of building the foundation and systems for a sustainable business. Strategic tools for building and growing a business, your exact next steps so you don’t just survive, but thrive. A prosperous business, one that feels real, successful, and sustainable, and not like a hobby or side gig. A different take on money. You’ll see money as a resource that is always there for you, always working for you, and always on your side. Special 15 minutes laser coaching sessions to help you with any area of your business and mindset ($4997 Value). Are you ready to start your online business and become Location independent? Are you finally ready to uplevel your money mindset and open the gates of financial flow and ease beyond what you ever thought possible? Imagine waking up feeling so grateful that you get to do what YOU LOVE. Imagine knowing that you can do whatever you want with who ever you want whenever you want! Imagine that everything is paid for and you have EXTRA CASH in the bank! Imagine always feeling ABUNDANT and PROSPEROUS. True prosperity is having access to all the resources you need to live your purpose! And that is what happens when you get into the Money Flow and Start Your Online Business. 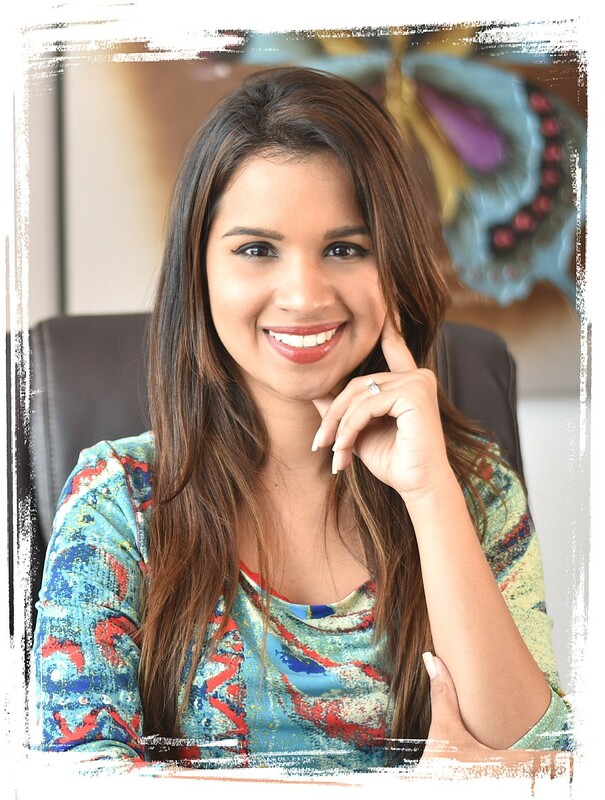 Sherina Mayani is a Business Master Coach who helps women around the world start and build their online business, clear their blocks, upgrade their mindset, attract ideal clients, and build systems and structures in place so they are financially and location independent. 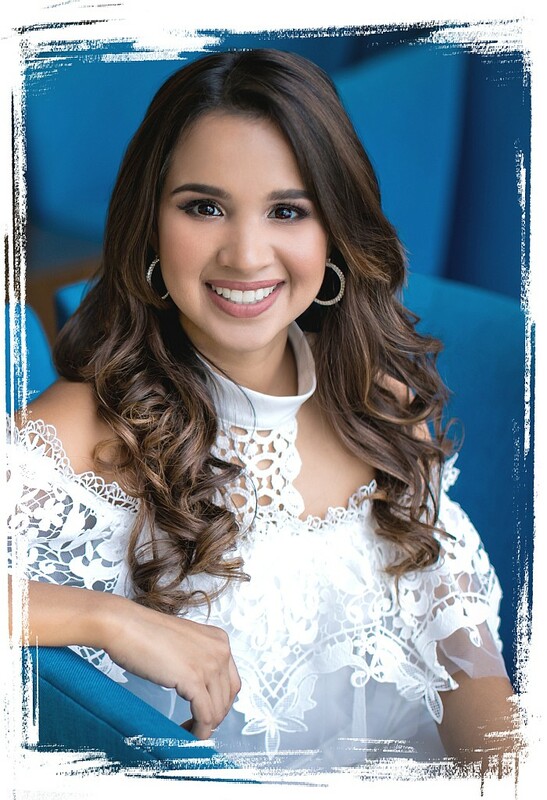 Sherina is bilingual and speaks fluent Spanish and English. All of her coaching programs are available in both languages. Will this work for a non-coaching industry? Is this only for money mindset? Why 12 months? Do you have something shorter? I’m scared to invest and commit, what do you recommend? I’ve done the programs on mindset and business and they haven’t worked, will this work for me? I want to do this but I don’t have time. What do you recommend? Its not the right time for me, will you do this again? The program is delivered via Email. 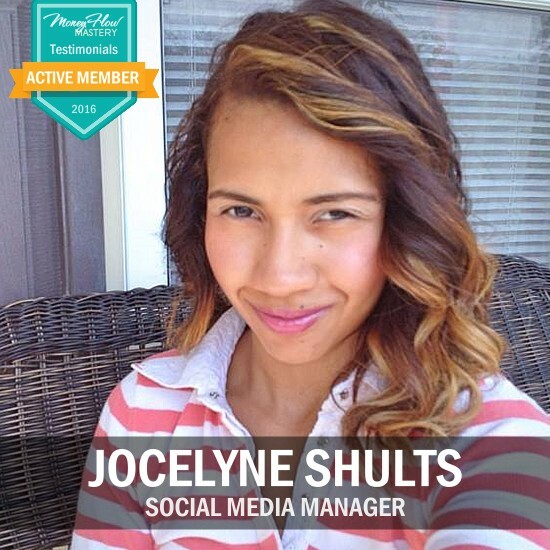 You will have your own Membership site where you can conveniently access training materials and a Private FB Group. Orientation sessions will be conducted in June 2019, and the Money Flow Mastery program officially kicks off in July 2019 with the release of Module 1 and our first Q&A call. In July 2019, with your deposit due when you officially enroll in the program. Yes, absolutely. The tools and techniques for clearing and upleveling your money mindset can be used to grow any service-based business online. What would it be like to never have to worry about bringing in new clients or customers? How would your life be different if you just trusted that there is enough for everyone and all you have to do is ask and you will receive? This stuff works. It will work for you. No matter what you do or where you are. Nope. In fact, the main focus is on growing and starting a thriving online business – with complete ease and flow. One way we will do that is to change your money story and up-level your money mindset. In addition, we’ll cover systems and structures, team building, community building, client attraction, and more. Whether you believe in the idea of manifestation or the law of attraction or not, the business strategies taught in the Money Flow Mastery are the same ones I’ve used to build my own coaching business to $100K in my first year and grow it to mid-6 figures in just 3 years. Question not answered? Send it to team@sherinamayani.com someone from my team will get right back to you. This program is 12 months because I wanted to make sure you get real results – not just once, but over and over again. It doesn’t mean that you need 12 months to begin seeing the impact of our work together. In fact, most people will experience results within the first few months of the program. Also, having accountability and support for this long makes it a stronger and more powerful program for you! If you want to grow a business that gives you true financial freedom and independence, I believe one year is the minimum amount of time to get you there. Let me be clear: this is not a get-rich-quick program. We will cover a lot of foundational work and having the SPACE of a year together helps with the integration needed to create REAL growth. It’s normal to be scared and feeling apprehensive when it comes to investing and committing to something like this. If you are feeling this way, I would recommend taking a deep breath and feeling into what is really keeping you from saying yes. And then, complete the application and schedule a call with me so I can help you through this. All programs on business and mindset are great! If they haven’t worked or given you the results you wanted previously, it doesn’t mean that they were bad; it just means that maybe you needed more time or there was more inner work to be done. I am a big believer that everything happens for a reason and every program is part of your success. If you get success in this program or in the next program, it doesn’t mean that the past programs didn’t work. The past is what helped you build the foundation that was needed for this work. So all the programs you have done for mindset and business were necessary for you to be in the place you are today – ready to say yes to a new way of doing business that creates true money flow. This will work and the reason I know it will work is because it’s not an ordinary business program. It’s a program that has business strategy and CLEARING! I haven’t seen anything so in depth like this before and that is why I’m so excited to share this work with you. It will if you DECIDE to make it work for you. It’s really in your mind. This process has worked for hundreds of women and can for you, too! But you have to do the work. This isn’t a get-rich-quick program or a group where all you have to do is think about making more money. It is so much more than that. I totally understand. Running a successful business takes a lot of time, and growing your business, well, that takes time, too. But here’s the thing: Money Flow Mastery is all about showing you how to add more flow and ease to your life and business – without working harder or working more. If you are committed to finding a new way to quantum leap your success and take your business to the next level, then I recommend dedicating at least 3-4 hours a week at the beginning of the program, and then, from there, we will help you create more time so you feel more spacious and abundant. It’s never the “right” time for anybody for anything. If you truly want to grow your business and achieve financial freedom, then you need to take action now. This program starts in July 2019. I am not sure when I will be offering it again, probably again next year, but no dates are set. And honestly, do you really want to wait that long to have financial ease and money flow in your business? This program is different because it’s not just a business program but also a clearing program. What does this mean? It means there are many programs that are about only business, but Money Flow Mastery digs into your money blocks to help you create financial freedom and independence by shifting your money relationship, increasing your money vibration, and designing a business that allows you to thrive. 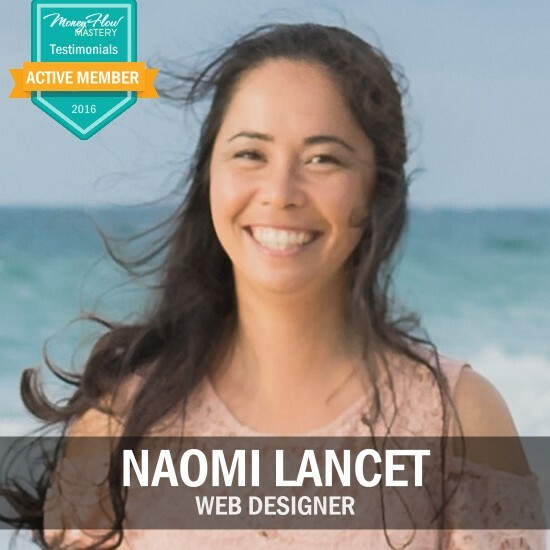 The real reason this program works is because not only will you learn how to grow a business you love (with the income you desire), but you will get proven techniques for how to CLEAR the BLOCKS holding you BACK – techniques you can use on your own when you need them. These are tools you can utilize over and over again so you can continue to uplevel and grow. I’ve been doing this transformative work for almost three years and have learned what works and what doesn’t – personally, in my own business, and with my private clients from around the world. I have seen firsthand the level of success people can achieve with the clearing mindset work mixed with the business strategy. I believe this is a crucial component of true business success, which is WHY I am so committed to sharing this with you. Everything I will be teaching in this program is something that I have learned from own experience and have done in my own business to help me grow to multiple 6-figures in just 3 years. I will be giving you real life case studies and you will learn from someone who has what you want and has been where you are at right now. This isn’t just an idea or concept. This is practical information with proven results ready for you to implement and experience in your own business. ¿Ready to build a business that is in TRUE MONEY FLOW?